I sank into the car after a long day of work, weary but elated. My military training had ended sooner than expected, and I dialed my husband to share the news. “We got out early,” I announced with a smile. “I’ll be home by dinner!” We chatted happily until he ventured, “So . . . where are you stopping for Mass?” Instead of gratitude for the reminder, I felt myself deflate. Between the unholy hour I’d arisen that morning and the intense workload of weekend training, I’d lost all concept of time. “Oh, right.” I said flatly, bitterness creeping in. “I forgot it was Sunday.” Dragging my exhausted, hungry self to a late-night Mass was the last thing I wanted. “You’ll be glad you went,” he said gently. “Keep telling me that,” I sighed as I re-programmed the GPS. I knew he was right—my soul desperately needed the graces for the coming week. As I drove, I thankfully remembered a bit of wisdom from a friend: sometimes our Sunday mass commitment isn’t just about what we get out of it. Often it’s about how lovingly we sacrifice for Jesus in return. 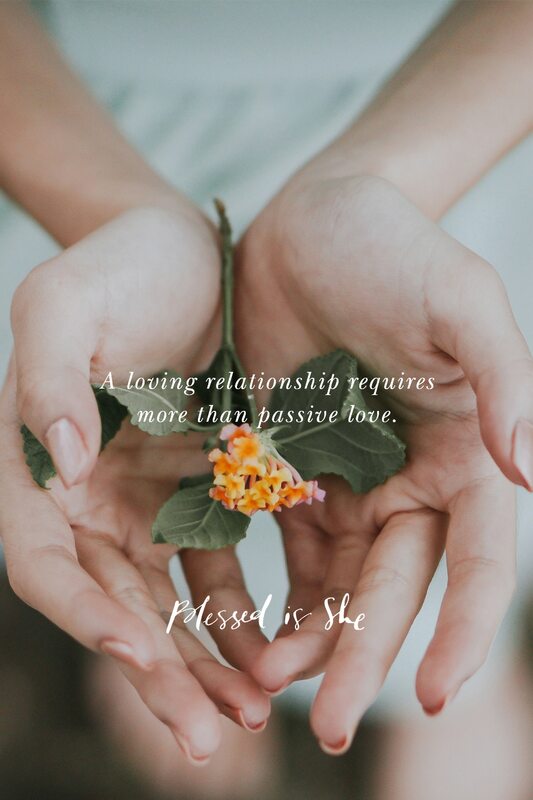 A loving relationship requires more than passive love. It calls for action—choosing to do hard, selfless things out of love for another. To an outsider, such actions may make us seem “out of our minds”—the same accusation hurled at Jesus in today’s Gospel. (Mark 3:20-21) Things like choosing Mass (albeit with encouragement) before food and rest, standing firm in our counter-cultural convictions, and actively seeking God’s will instead of “creating our own destiny” bring bafflement. The world scratches its head when encountering our choices that go against self-interested desires. But, Sisters, this is our call. Sometimes living for Jesus means strangers raise an eyebrow. Friends choose to exclude us. Our own family members reject us. Sometimes it means scornful remarks and judgement-loaded inquiries. Sometimes it means showing up for Jesus when we really don’t feel like it and missing out when we’d rather be part of the crowd. Persecution hurts. It causes real wounds. (Just look at Jesus on the Cross after all He willingly and lovingly did for us). But sacrificing for Jesus consoles His hurting heart, frees others to love Him with the same abandon, and brings us to the same glory He gained following His loving sacrifice—which always leads back to our own fulfillment. Don’t be afraid to be outta your mind for Jesus today, sister. You might just be the light someone else needs to find Him. Megan, I, too, live in Colorado – Denver; I imagine you’re in the Springs since you serve in the Army. With that exception, your bio could be mine, sister! I was particularly struck by your friend’s insight: that Mass is sometimes our sacrifice to Him, who sacrificed EVERYTHING for us. It is a wonderful thing to do for Him – to visit and spend an hour with our Greatest Love and let Him feed us His Heavenly food. May you be richly blessed for your efforts and, I thank you for your service and sacrifice for our great country! Thanks Stephanie! That insight is a kernel of wisdom I’ve definitely held on to; such a beautiful gift to console His heart in return for all He does for us. I’m in the Reserves and in the Denver area, but yes, I spent a lot of time around the Springs for duty! Love the reflection, Megan. As always, your words speak to me. God bless you, sister. Thank you Molly! Bless you! Needed to read this devotional today; thank you for speaking right to my heart, Megan! Thank You Megan! A great reminder that it is NOT always about me & what a blessing it is to, as I called – Get Out of Ourselves, where we are always blessed. Also a great reminder to us of Jesus’s great sacrifice and that maybe we should not wine about some of the minor happenings in our life. Something I told my child when she was in college and didn’t think she had time to go to mass – God multiplies time! And, that did not come from me! It was a lesson to me though that no matter what is going on in my life, I need to always give God His time knowing that the blessings He grants me will make my life so much better!